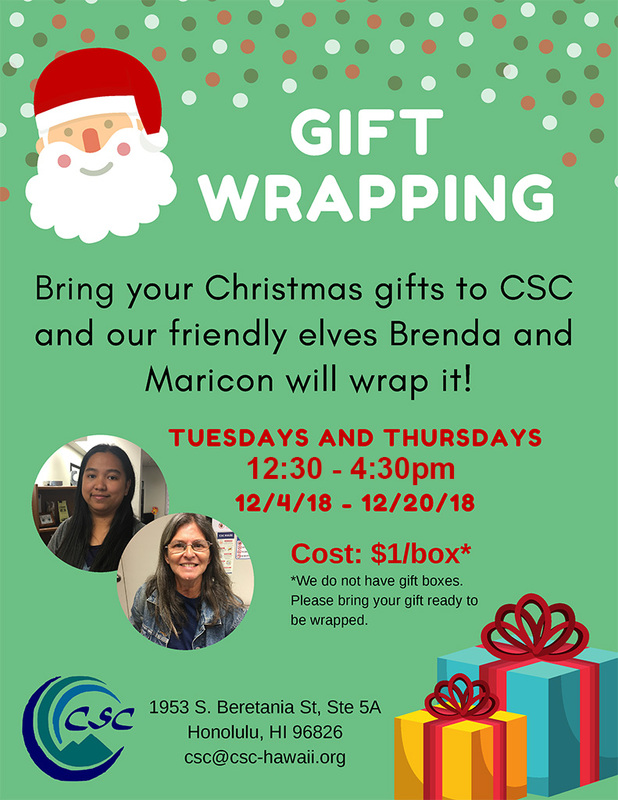 Bring your Christmas gifts to CSC and our friendly elves Brenda and Maricon will wrap it! *We do not provide gift boxes. Please bring your gift ready to be wrapped.